At a time when data security is extremely high on the agenda for all businesses due to the General Data Protection Regulation (GDPR) being enforced in May 2018, organisations are placing more emphasis on ensuring their staff are fully equipped with the right products to protect and secure their company data. The EU’s new data protection legislation which comes into effect on 25th May 2018 compels organisations who process, or hold personally identifiable information of EU residents to implement adequate security measures to protect personal data loss. Failure to comply will result in tough fines, with the risk of being fined €20 million or 4% of the annual global revenue! Something that cannot be taken lightly, especially as it also puts the business reputation on the line. Furthermore, this legislation applies to any company that works with information relating to EU citizens making it the first global data protection law and meaning that any UK organisation that deals with EU customers, MUST comply! 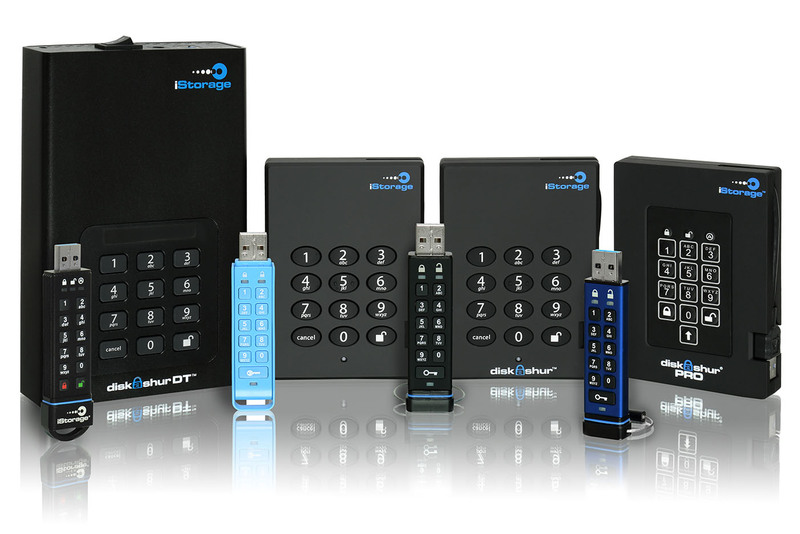 By choosing iStorage, organisations can rest assured that all data saved on the range of USB Flash, Hard Drive or SSD devices are fully encrypted. Meaning that if the device is lost or stolen, and an unauthorised user attempts to use it, the storage device remains in lockdown, with a Brute Force Self Destruct Feature being deployed after 10 unsuccessful attempts of entering the PIN. As a result, all confidential and sensitive data remains untouched and kept away from prying eyes. Furthermore, should an iStorage product containing sensitive customer data get lost or stolen, then it does not need to be reported to the authorities as the data is encrypted, meaning no fines would be imposed. With more importance being placed on keeping sensitive data secure and the arrival of the GDPR standard coming into place, never has there been a more important time for using PIN authenticated data storage devices. “The upcoming GDPR standard which will be enforced by law in May 2018 is set to affect all public and private sector organisations based in the EU as well as those dealing with EU citizens personal data. This means that data security is at the forefront of many organisations agendas so we will be working alongside organisations to ensure that they are prepared for this change. The rigorous testing and certification standards, such as FIPS 140-2, that iStorage products are accredited to, offers reassurance for all organisations, and users can rest assured that our products meet the strictest standards of data protection, which is a vital and critical requirement for today’s data security environment. For more information on iStorage or to find out how the range of PIN authenticated, hardware encrypted data storage devices can help protect your organisation’s confidential data, please visit www.istorage-uk.com or contact +44 (0) 20 8991 6260.